Spoiler Alert: If you’ve never read the Bible you’ll find out some of the big plot points here. The film begins in 1300 BCE (before the Common Era). The Hebrews have been slaves for 400 years. 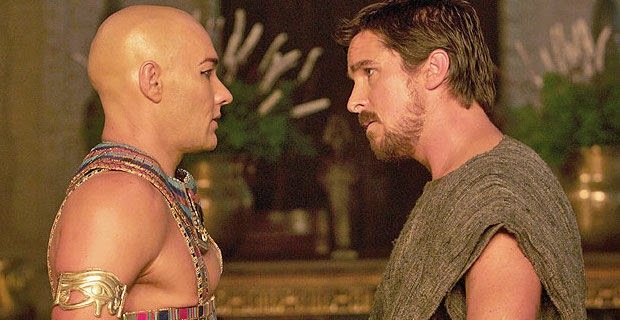 Moses (Christian Bale) is about to join his “brother” Ramses (Joel Edgerton) in battle. A priestess has read the entrails of a bird and foretells that a sibling will save his brother’s life and the hero will become a leader. 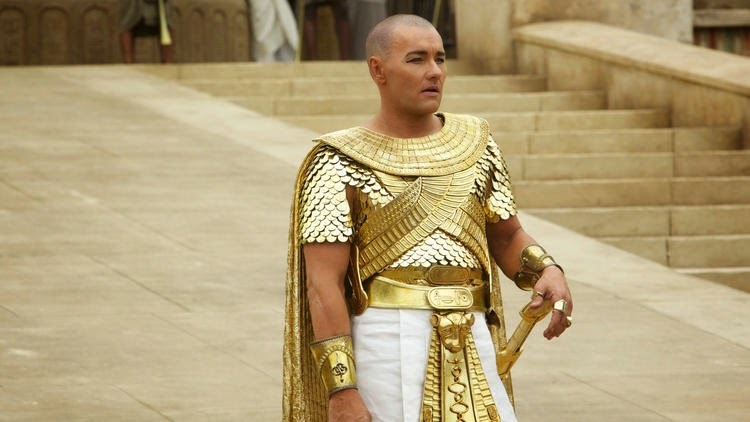 When Moses rescues Ramses, their relationship begins down a treacherous path. A rumor spreads that Moses was actually born a Hebrew slave. Moses refuses to believe this at first, but confirms it when his sister’s life is at risk. Tuya (Sigourney Weaver) wants Moses dead but Ramses chooses exile, which he promises will lead to death. Nine years later, Moses is not dead and has made his way to the red sea. There he is taken in by a stranger, whose daughter he marries and they know have a young son. Moses leads the life of a shepard but sees a burning bush and a young boy urging him to take action. Moses needs to see what is happening to his people and leaves his family behind. Moses demands the release of the slaves and Ramses will not hear of it. A series of plagues will follow with the Egyptian children suffering while Hebrews are unharmed. The film follows Moses as he leads his people across the sea and eventually makes his way up the mountain to chisel the commandments. This was an interesting film. Whether or not you’ve read the bible really doesn’t matter. If you have, you are just ahead of the game as a viewer having a bit more background. 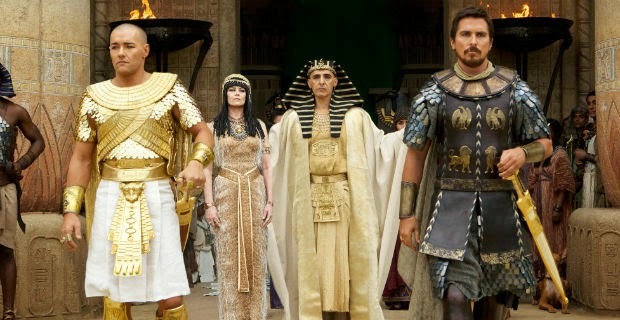 There was a bit of controversy surrounding this film and the very white actors chosen to play Egyptians. What I had a problem with was the specific actors chosen. I kept thinking that Batman and Ripley were playing dress up. Christian Bale, did make a believable Moses, especially as he became dirty and aged in the film. His voice is what reminds me of Batman now and I kept feeling like there was a utility belt under his robe. Sigourney Weaver was out of place and didn’t help sell the story. Ben Kingsley could be a ruler of any kind in any situation and I would buy it, but John Turturro is no Pharaoh (he plays Seti). The film did not feel as epic as I had hoped. I wanted to see more battle and a dramatic parting of the sea. Parents thinking this might be used as a biblical history lesson for their young ones beware. Although I often let my seven year old see PG-13 movies, I would not let him watch this. There are images of a young dead child that would be extremely upsetting and a vicious crocodile attack that would surely cause nightmares. The Day After Tomorrow is my epic weather movie. I thought this movie might become my epic battle movie. Instead, the Egyptian aspects just made me want to watch The Mummy. 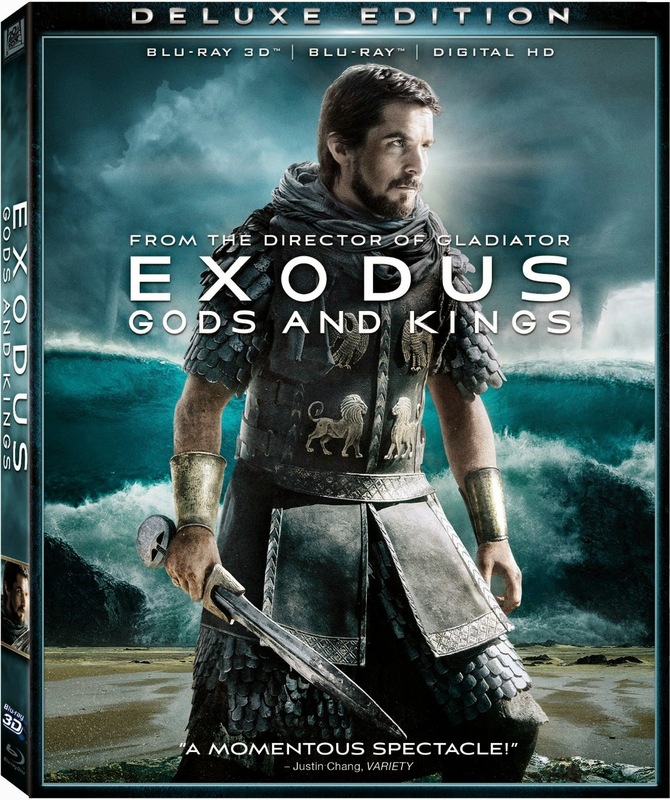 Exodus: Gods and Kings is presented on Blu-ray with an AVC encoded 1080p transfer in a 2.40:1. Director Ridley Scott and cinematographer Dariusz Wolski have worked together to bring weight and scale to the film. The CGI effects do not stand out as out of place and all images appear clear and detailed. As Moses faces exile you can almost feel the texture of the dirt that cakes his body and the boils on the Egyptians later appear as though they are truly painful. With limited light and flame, fine detail is not lost. 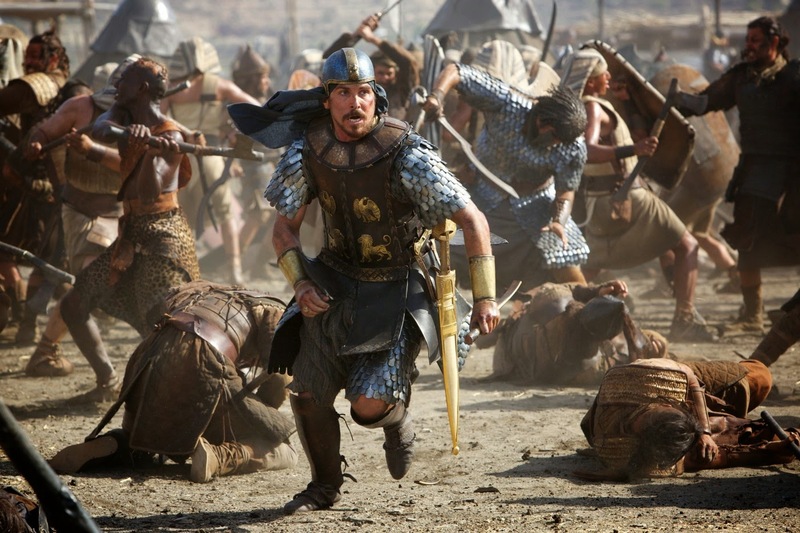 Exodus: Gods and Kings offers an impressive DTS-HD Master Audio 7.1 mix. There is constant peripheral activity and the expected battle sounds. During a time when a devastating plague has taken hold, you can feel the wailing become louder and rise through the city. Dialogue is intelligible and consistent throughout the film. The score is complimentary to the action but not overwhelming. The Exodus Historical Guide – The guide, which needs to be activated, provides background information about Moses and the Exodus. Deleted and Extended Scenes – Available with a play all function or individually, the following deleted/extended scenes are included with unfinished picture and sound: Tuya confronts Ramses, Moses waits for the Viceroy, Moses sees the burning bodies, Ramses makes Moses Chief Advisor, Zipporahand Gershom discuss God’s mountain, Snake hunt and aftermath, Moses touches his sword to the Nile, First Boil on Nefertari, Bad behavior. Audio Commentary – Director Ridley Scott and co-writer Jeffrey Caine provide an interesting look and the film and the choices they made. 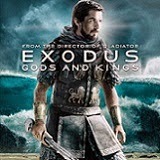 Exodus: Gods and Kings strayed too far from letting the hand of God do its work. I like my Red Sea to magically part, not just drain. It tried to cover a lot of ground and missed a lot of important details. 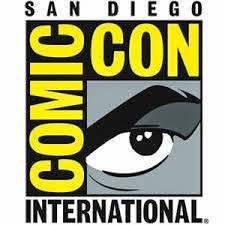 The epic battles I’d hoped for just didn’t deliver the way I wanted and I also question the casting choices of John Turturro and Sigourney Weaver. With that said, the movie is far more interesting and inventive than anything I could have come up with. This film just wasn’t what I expected, and it wasn’t for me. It’s not a terrible film, it’s not hours of my life I want back, but for me it was disappointing.